Vodafone (UK) Archives · Stop the Cap! The new owner of John Malone’s cable empire? John Malone’s big plan for consolidating the cable industry might never see the light of day if one of the world’s largest mobile operators buys the company out from under him. Bloomberg News is reporting Vodafone is exploring an acquisition of Liberty Global, Europe’s largest cable conglomerate. Liberty owns cable operators in 12 European countries including Germany, Great Britain and the Netherlands. It also own a minority share of Charter Communications in the United States and controls Sirius/XM satellite radio. Vodafone has recently been on a buying spree in Europe, mostly using the proceeds from the sale of its minority interest in Verizon Wireless. Vodafone has bought cable companies in Spain and Germany and is looking to acquire more “fixed networks” to offload mobile traffic. Vodafone representatives denied there was any immediate interest in a deal with Liberty, but Wall Street analysts debated the prospects of a deal nonetheless. Vodafone’s operations are larger than Liberty’s in Europe, so the wireless provider has the resources to make the deal happen if it so chooses. But Vodafone itself may be an acquisition target. Some analysts predict AT&T will make a bid to takeover the mobile operator after it completes its acquisition of DirecTV. Fixed line (wired) broadband is still a critically important technology in Germany. Vodafone Deutschland and Kabel Deutschland, now both owned by Vodafone, have launched a joint marketing agreement to pitch wired broadband to customers across Germany under the new brand Zuhause Plus (At Home Plus). Customers have the choice of either Vodafone’s VDSL at speeds up to 50Mbps or cable broadband from Kabel Deutschland at speeds up to 100Mbps. Vodafone is trying to convince customers to abandon VDSL in favor of cable broadband, which also offers television service. Vodafone is working on bringing television to its VDSL customers at some point in the future, but it would compromise available broadband speeds. To provoke DSL customers to consider a change, a special offer of $27.72 a month for phone and broadband service is available for those agreeing to switch to cable. Together, Vodafone and Kabel Deutschland reach nearly 98% of German homes. At least 40% get DSL speeds exceeding 25Mbps. The company is targeting speeds of at least 100Mbps for its DSL, cable and LTE wireless networks. The Kabel Deutschland brand will soon disappear in favor of the Vodafone brand. The two companies were merged last October in a $15.3 billion dollar deal. Verizon Communications spent Labor Day weekend putting the final touches on a carefully crafted deal to attain full ownership of its wireless unit, buying out its British partner’s 45 percent share in a deal valued at $130 billion. The long talked-about buyout of Vodafone has been on the table for years, but became a priority for Verizon CEO Lowell McAdam, who spent much of his career overseeing Verizon Wireless. Since McAdam took over from predecessor Ivan Seidenberg in 2011, he has refocused priority on Verizon’s wireless business, at the cost of landlines and Verizon’s fiber optic network FiOS. The transaction dwarfs (by nearly four times) the $33 billion annual budget of the entire state of New Jersey. Verizon has agreed to pay Vodafone $58.9 billion in cash and $60.2 billion in Verizon shares, and finance another $5 billion of the deal in loan notes. Verizon has also agreed to sell its 23 percent ownership in Vodafone Italy worth around $3.5 billion and take on $2.5 billion of Vodafone’s debt. A deal this large would normally generate tens of billions in tax revenue payable to HM Revenue & Customs in England and the Internal Revenue Service in the United States, but creative accounting at both companies makes it all but certain Vodafone will pay nothing in British taxes and only $5 billion to the IRS, despite its $130 billion windfall. Vodafone is structuring the deal through a Dutch holding company, transferring assets to Verizon in a way that minimizes the tax bite. 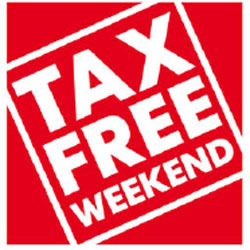 As proposed, the deal is exempt from taxes in both the Netherlands and the United Kingdom. Wall Street investment banks will do better than American and British tax authorities, dividing at least $1.3 billion in financing, merger, and legal fees surrounding the Verizon deal. Many of New York’s largest investment banks are taking part in the transaction. Vodafone is depending heavily on guidance from Swiss-based UBS and Goldman Sachs. The latter has earned $438 million so far this year advising companies on mergers and acquisitions. Verizon is relying on advice from J.P. Morgan Chase and Morgan Stanley. Bank of America Merrill Lynch and Barclays have joined to offer their help with the enormous debt-funding package required for the deal. Verizon customers will notice little to nothing different about their wireless service after the deal is complete in the first quarter of 2014. Many customers had no idea Vodafone was part owner of the largest wireless company in the United States. Verizon always maintained effective control of the U.S. operation and plans no immediate changes as a result of assuming outright control of the company. Little controversy is expected in getting the deal approved by regulators for the same reason. Shareholders are likely to reap most of the rewards. Vodafone stockholders are expecting the bulk of the proceeds from the sale will be returned to them in the form of dividends. Verizon shareholders also expect better returns in the future now that Verizon’s profitable wireless unit will no longer have to set aside costly dividend payments intended for Vodafone and its shareholders. Verizon hopes being the master of its own destiny will allow the company to innovate its wireless network towards future revenue opportunities, especially in the machine to machine connectivity business. Both AT&T and Verizon Wireless are racing to enable medical devices, home appliances, electric meters, and automobiles to communicate over their respective wireless networks. Both companies are concerned that the cell phone marketplace has become saturated in the United States, with most people desiring cell phone service already having it. With Wall Street demanding ongoing growth quarter after quarter, new revenue sources are more important than ever. Many Verizon shareholders expected a deal this year, but some are concerned Verizon has offered too much to buy out Vodafone. Many Wall Street analysts had expected Vodafone would part with its 45 percent ownership of Verizon Wireless for around $100 billion, but Vodafone clearly held out for more. The corporate deal is the world’s third largest after Vodafone’s $203 billion takeover of Germany’s Mannesmann in 1999 and AOL’s 2000 $181 billion acquisition of Time Warner. Vodafone is planning to use some of the proceeds not returned to shareholders to bolster its European business, which has suffered from the economic downturn and robust wireless competition that have kept prices low. Wall Street analysts predict the European market is ripe for a wave of consolidation similar to what happened in the United States over the last decade. Vodafone may need more financial resources to protect its market position or have the flexibility to buy out competitors. The European wireless giant has been a quiet partner of Verizon Wireless for almost 14 years. Verizon Wireless was launched in 2000 as a joint venture of Bell Atlantic and Vodafone. As the venture was being launched, Bell Atlantic merged with GTE, forming Verizon Communications. A Financial Times blog post has started a buying frenzy for Vodafone Group Plc on news AT&T and Verizon Communications are about to bid for the British mobile phone giant, despite denials from Verizon it is involved in any deal to acquire the British mobile phone company. 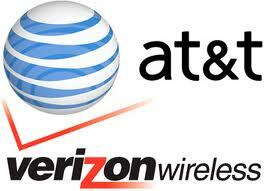 The Times Alphaville blog quotes unnamed sources deemed “usually reliable people” who claim Verizon and AT&T are working together on a blockbuster $245 billion takeover deal for one of the world’s largest wireless carriers. After the story appeared, Vodafone shares were up 6.1 percent. Verizon is interested in buying out Vodafone’s part ownership in its Verizon Wireless venture and AT&T is looking to overseas markets for future wireless revenue opportunities that are harder to find in the United States. The sources told the Times they expect the deal will initially merge Vodafone and Verizon into a single entity, but only briefly. Verizon would promptly sell Vodafone’s extensive international assets to AT&T at a premium. Verizon would end up the sole owner of Verizon Wireless, and AT&T would acquire Vodafone’s enormous wireless operations in Europe, Asia, Africa and the Middle East. Barclays Plc is working on putting together the potential transaction, Alphaville said today. Informal talks have reportedly been underway between AT&T, Verizon and Vodafone since December according to Bloomberg News. The biggest impediments seem to be among the company’s top executives arguing over who ends up in the leadership and where the combined companies will be located — in the UK or the USA. Vodafone has been a tolerated partner in Verizon Wireless since 1999 when Bell Atlantic and Vodafone merged their respective mobile ventures into Verizon Wireless. Vodafone has held tightly to their part-ownership of Verizon’s wireless network, which has proven an enormous earner in an American wireless marketplace considered less competitive than in Europe. The talks indicate Verizon is willing to pay a premium price to disconnect the British wireless company from its American operations. Allowing AT&T to help finance the largest wireless takeover in years makes it more likely a deal can be done, assuming regulators on both sides of the Atlantic agree. Verizon Wireless and AT&T could cooperate to allow both companies to build market power in the United States and abroad with a buyout of Vodafone, now a part-owner of Verizon Wireless. The world’s second largest wireless service provider (behind China Mobile), Vodafone could be subject to an American takeover if the two largest phone companies in the United States structure the deal together. Bank of America-Merrill analyst David Barden suggested AT&T could buy Vodafone’s international assets at an estimate price of $70 billion, allowing Verizon to buyout Vodafone’s 45 percent stake in Verizon Wireless. Barden warned the deal would be time-consuming, and likely attract strict scrutiny from regulators both at home and abroad, but a deal would give Verizon its desired full control of its domestic wireless operation and allow AT&T to become a major global player in the wireless marketplace in Europe, Asia, Oceania, and the Middle East. An analyst from RBC made news last week suggesting AT&T could be amenable to selling its non-core assets to raise cash, including the sale of its wireless broadcast and cell towers — money that could be used to help pay for such a deal. AT&T achieved record cash flows in 2012 and will likely end 2013 with $14 billion in free cash, which could be used in an acquisition strategy or returned to shareholders. Fran Shammo, chief financial officer of Verizon, noted the company has been interested in taking full control over its wireless division for some time. The estimated cost of buying out Vodafone’s U.S. share is around $115 billion.